Partners: Shirati KMT Hospital, Mennonite Church of Tanzania. The Hospital provides affordable health care to people living in the catchment area of Rorya district, which has a population of 245,000.
new toilets, showers, sinks and taps in all wards. Much support to villages and schools to improve living conditions, healthcare and education as well as supporting Women’s Initiative Groups by setting up businesses to provide income to make them more self-sufficient and able to support their families. Objective: To increase the access of community members to health services and improve the quality of the health care provided by Shirati Hospital. Improve the quality of the hospital and school facilities. Volunteers with the following skills and experience are needed: construction, A/C maintenance, trades, computers, sewing, painting, business. Medical professionals to assist in strengthening ICU staff are also welcome. 2019 mission goals are to complete construction of the new medical laboratory begun in 2017; revise the water purification system for the 3,700 hospital and community water consumers; provide teaching assistance (English, business, trades) to Kisare Secondary Technical School; teach sewing to and explore business opportunities with women’s initiative groups and do village work with the HIV/Palliative Care team. 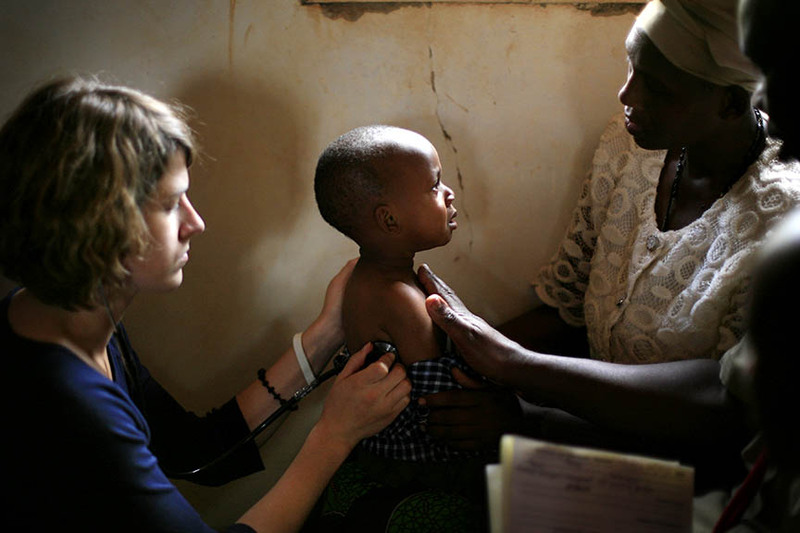 Achieved Results and Activities to date: Shirati Hospital was established in 1934 by missionaries from the Eastern Mennonite Mission in the U.S. and Canada and is now owned by the Mennonite Church of Tanzania (KMT) and operated by a Board of Directors that includes government appointees. As the largest hospital in Rorya District, it has become the Council Designated Hospital (CDH) for the district. It now operates 200 beds with a wide range of services, including a Leprosy Control Center, Medical Research Center, an HIV/Aids Control Center, and a School of Nursing with 200 students enrolled. CACHA first responded to a request for assistance from the hospital in 2008. CACHA volunteers undertook an exploratory visit to Shirati and found a hospital serving a very remote corner of Tanzania with 80 per cent of the people living under the poverty line. The needs identified included a lack of medical equipment and a shortage of staff to do village outreach. It lacked a strategic plan to begin addressing many hospital shortcomings and a great desire to learn more English by hospital and church staff. CACHA followed up by sending a container of refurbished medical equipment to Shirati Hospital in July 2009 and another container to its sister hospital, Nyere DDH at Mugumu. Three months later CACHA followed up with an infrastructure team of seven volunteers. The team worked for three weeks implementing improvements to the hospital’s finance department, installing six computers and other equipment from the container, training staff on computers, installing solar lights across the hospital and teaching English to hospital and Diocese staff, secondary students and their teachers. Two volunteers stayed on for an additional five weeks to complete a strategic plan and to continue teaching English to hospital and church staff and secondary students. After the presentation of the strategic plan to the Regional Medical Officer, the government approved the request to support the hospital and in September 2010 became a Council Designated Hospital. Salaries are now subsidized by the government and treatment is mostly free.. Eight infrastructure teams over 9 years have installed computer systems, trained staff on computer use, installed solar lights and mini florescent light bulbs to save operating costs, painted the entire hospital (with help from locally hired painters! ); replaced all broken taps, toilets, showers and sinks in patient care areas (with help from locally hired plumbers); installed a large water storage tank and a drinking water purification system; constructed a new Intensive Care Unit and completed phase 1 of a new medical laboratory; helped begin construction on a new Secondary Technical School for a planned enrollment of 400 students; taught English to local students, hospital and Diocese office staff; and led a strategic planning process that helps provide annual guidance for improving the hospital services. Much work has been done in the villages and schools to improve living conditions, health care and education. We’ve also supported Women’s Initiative Groups, helping them set up businesses to provide income to make them more self-sufficient and able to support their families. Check “Help the Children of Tanzania”. Ready to join this mission? 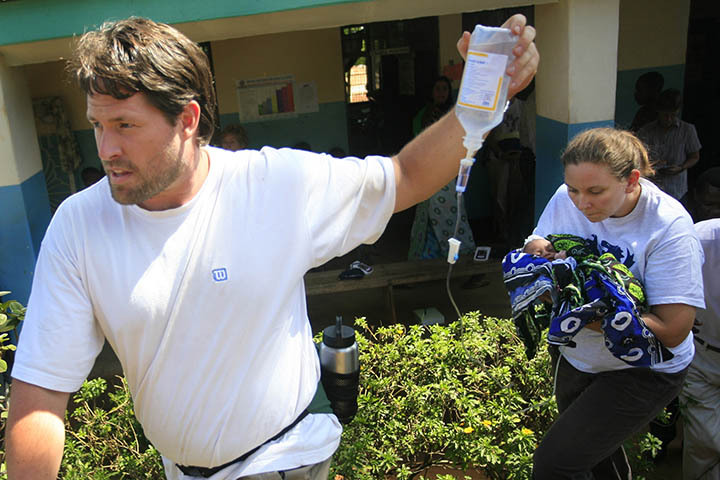 CACHA medical missions are non-profit and self-funded by volunteers and their donors. The mission cost is disbursed over a variety of mission-related expenses including; accommodation, food, in-country transportation, allowances for locally engaged partners, medical and logistics equipment and supplies, communications, customs, medical treatments and referrals for patients, as well as CACHA overhead and management, CACHA membership fee, and helps to support many of our CACHA projects. All donations submitted to CACHA toward payment of mission costs and plane tickets are tax deductible.